DC has posted five pages from this week’s issue of The Flash, which you can read at CBR. In it, Barry and Detective Burns must confront a god-like Heat Wave after he’s incinerated most of the people around them, though things may not be as they seem. Check it out at the link! 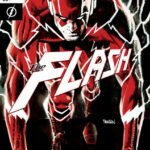 This entry was posted in Flash News and tagged previews on October 8, 2018 by Lia.